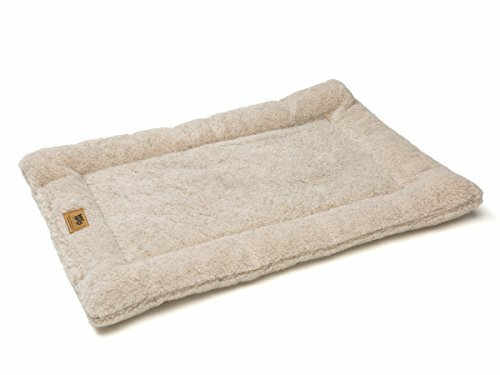 The New Montana Nap from West Paw Design is Handcrafted in Bozeman, MT from eco-friendly IntelliLoftÂ fabric and fill that is made from recycled plastic. Certified safe, the IntelliLoft fabric and fill are super plush providing sensibly stylish slumber no matter where pets call home. The density of the fabric means more loft and cushion - which means better comfort and durability. The home decor friendly designs and color palette are stylish no matter what state you call home. IntelliLoft outer fabric is made from a blend of 60% virgin polyester and 40% IntelliLoft; IntelliLoft fiber fill is 100% IntelliLoft and the batting is 60%. Like all of our mats, the one piece washing and drying make cleaning a snap. Like all of West Paw Designês dog beds, mats and blankets, Montana Nap is Guaranteed! Stylish and classic design - Large 35"x22"x3"
If you have any questions about this product by West Paw, contact us by completing and submitting the form below. If you are looking for a specif part number, please include it with your message.